As a property manager, you’ve got a lot on your plate. Most people think all you have to do is sit back and collect rent – but the truth is, there’s a lot more involved. Before you can accept tenants, you’ve got to do your due diligence and do your fair share of legwork. So what are the steps you need to take to be a successful property manager? Keep reading to learn the 7 most important things you need to do before listing a unit and accepting tenants. Whether you’re renting one unit or a hundred different properties, the first thing you need to do is hire a lawyer. Rental agreements and leases are complex legal documents. They have to be defined in the strictest of terms, and they have to take the law (in your state) into account. Don’t do a Google search for a boilerplate agreement or template. That is a surefire way to put yourself at risk. The best way to protect yourself is to hire a legal professional to draft the documents for you, or at least review the lease agreement you choose to use. Different states have different definitions and guidelines for the landlord/tenant relationship. Hire a lawyer that knows the law in your state so that you don’t miss anything crucial in your documents. Remember, your rental agreement and/or lease is a binding legal document. Don’t run the risk of putting yourself (or your property) in jeopardy by creating your own lease. Regardless of what type of business you’re in, it’s always wise to have an accountant on your side. As a property manager, you must consult with a tax accountant before renting out a property. It’s important to know the tax implications you’ll need to pay on the earnings from rental income. The last thing you want is a big (and expensive) surprise come tax season. By consulting with an accountant before renting, you can gain an understanding of what taxes you’ll owe at the end of the year. And knowing that up front will help you determine how much you should rent the property for each month. Not all tenants are created equal. The more units you have and the more often you rent, the quicker you will learn that tenants often do damage. Protect yourself and protect your property by having the proper insurance. Rental property insurance is different than regular homeowner’s insurance. It provides protection similar to homeowner’s insurance, but it also protects you against damage done by a tenant. Property managers will want to ensure that their owners have the correct insurance and their property management business is properly protected with the right coverage as well. Rental property insurance will also protect you in a situation where a tenant may decide to take legal action against you. Before you rent out any space, do a property inspection. Be thorough – and if you don’t think you can be, hire a professional to do it for you. Obvious damage is easy to spot, but some issues, such as mold and water damage, can be harder to detect. With a pre-rental property inspection, you can address any issues before you turn over the keys to a new tenant. Whether you have a tenant that stays for a year or a decade, it’s best to conduct a property inspection annually. Addressing a small problem in the early stages is always better (and more cost-effective) than waiting until it becomes a huge issue. You need to determine your rental rate before you list your apartment. The easiest way to do this is to research the local market and see what other landlords are charging for properties similar to yours. Zillow and Craigslist are great places to start. Look for properties in your zip code and compare features such as square footage, the number of bedrooms, and the amenities. This is the best way to determine what your rental unit is worth. If you’re not in a rush to rent the property, you can try pricing your unit a little bit higher. See what interest you get. See if you have any renters who are willing to pay a premium price. If not, you can always lower the rate or offer a move-in incentive to be more competitive. It’s important to provide the best possible experience for your tenants – and that starts with a clean apartment. Nobody wants to rent a dirty place, so make sure you have it professionally cleaned before you do any showings. Make sure that the carpets are vacuumed or professionally cleaned and the floors are mopped. Put a fresh coat of paint on the walls. Clean all the counters and windows. The trick is to make the place look as new and as fresh as possible. The last and the most important step is to create a formal process for screening tenants. That includes asking questions, checking references, and performing background checks and credit checks. In part 2 of this series for property managers, we’ll get into more detail about why it’s so important to screen tenants. We’ll also give you all the basic info you need to conduct a proper screening. 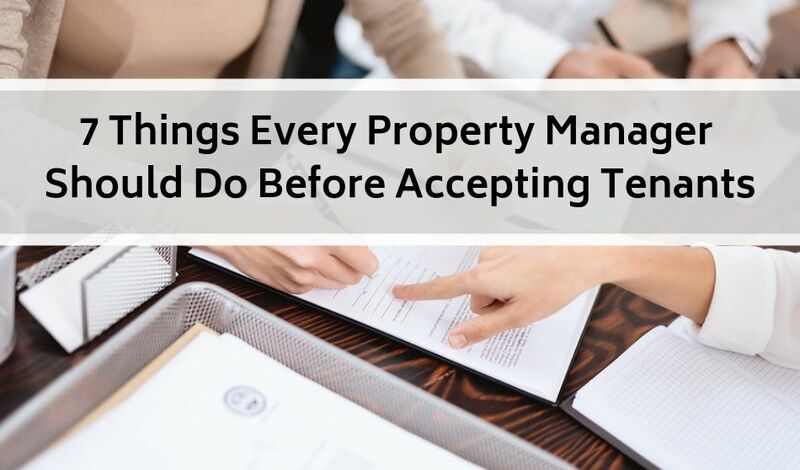 To be a successful property manager, there are things you need to do before you can even list and show your place. Have a lawyer draft your rental agreement and lease. Using a template you found online just won’t cut it. 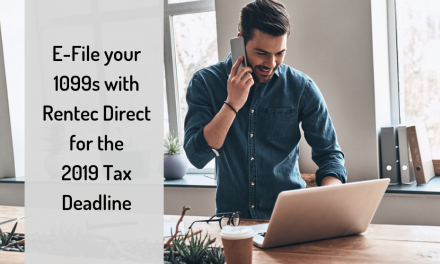 Consult with an accountant so you know what the tax implications will be on that dreaded tax day in April. Purchase insurance that’s designed specifically for rental properties. That’s the only way to protect yourself if a tenant does damage to your place. Do a rental property inspection and address any issues, especially those that can turn into major problems if left unattended. Research the local market to determine a fair price for your unit and get the unit in order for your first showing. That includes doing a thorough cleaning and giving it a fresh coat of paint. 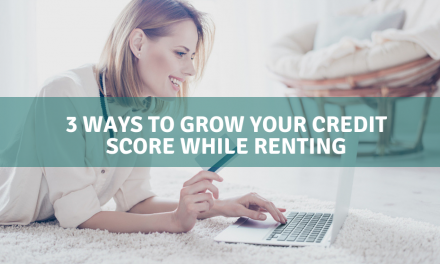 Take these steps before you rent and you’ll put yourself in a much better position. And remember – once you start showing your place, screen your tenants before turning over the keys. Your rental property is an investment – so make sure you treat it like one. All the tips you need to overcome challenges in property management. Cat Thomas has over 15 years’ combined experience in multifamily, retail and other industries. Currently, as Director of Marketing for Broadstone Brickell, she oversees research, discovery and execution of creative, content, digital and strategy efforts.